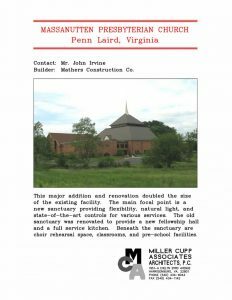 Massanutten Presbyterian Church – Miller Cupp Associates, Architects, P.C. This major addition and renovation doubled the size of the existing facility. The main focal point is a new sanctuary providing flexibility, natural light, and state-of-the-art controls for various services. 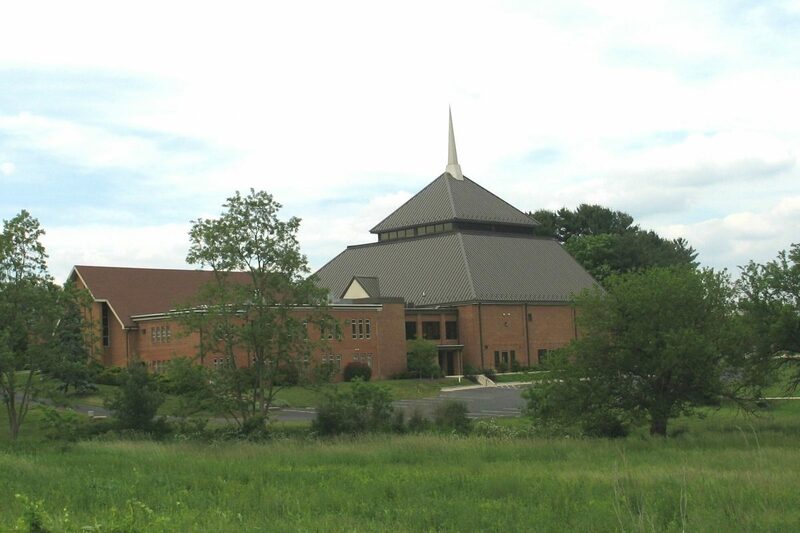 The old sanctuary was renovated to provide a new fellowship hall and a full service kitchen. Beneath the sanctuary are choir rehearsal space, classrooms, and pre-school facilities.